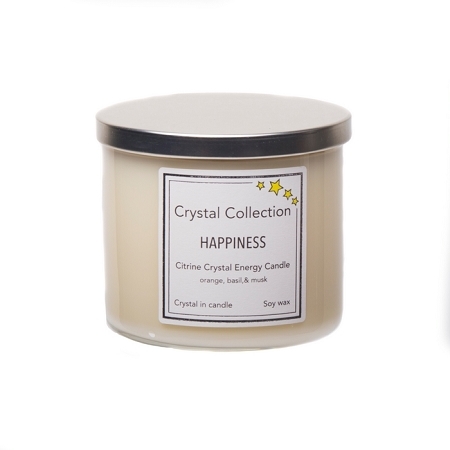 Happiness energy candle has a fragrance blend of orange, basil and musk. 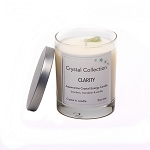 Citrine crystal light to dark yellow in color provides happiness, courage, hope and warmth. It enhances self esteem and creativity. 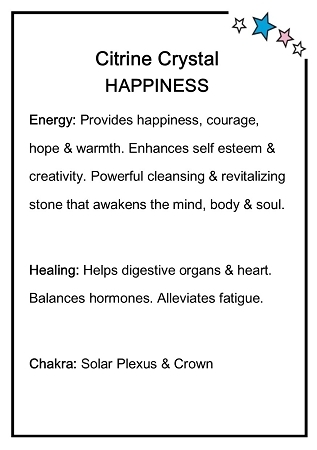 Powerful cleansing and revitalizing stone that awakens the mind, body and soul. 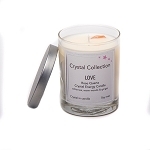 Each candle comes with crystal's description and use on a hang tag card. 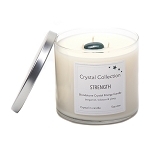 Soy candle with 3 wicks measures 3.5 inches tall by 4 inches wide.